Battle Memorial Hall is a not-for-profit charity. The charity was established to provide and maintain a village hall for the use of the inhabitants of the Parish of Battle and it’s neighbouring towns and villages with the object of improving the conditions of life of said inhabitants. The hall is run by a management committee made up of volunteers from the local community and a Hall Manager. It is entirely self-funded, covering running costs mainly through hirer fees. Groups who meet in the hall include fitness and dance classes, meetings of local voluntary groups and organisations, markets, drama and music groups and many more. It is also available to hire for special and private parties including wedding receptions. 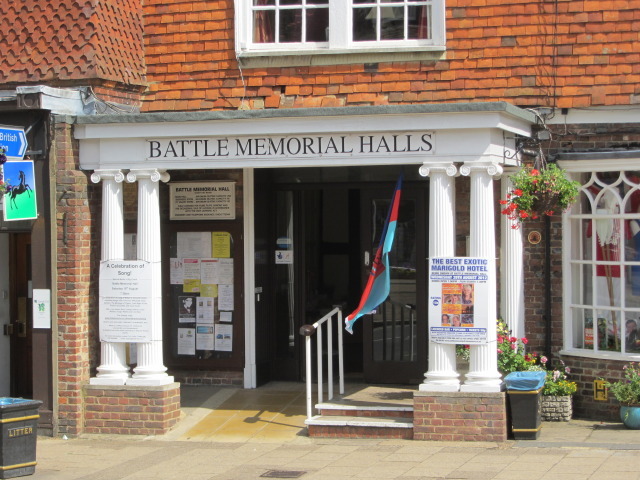 Please note that Battle Memorial Hall has introduced new Hall Hire Charges from 1 April 2016. Please click on this link for more information. Thank you. Please click here to view the current booking diary.